Games publisher Activision has created an Amazon Alexa Skill. The Skill is purposed as a ‘Personal Call of Duty Coach’ and is powered by AI and Machine Learning. If you are a player of Call of Duty: WWII, thanks to the beta release of this Skill, you can ask Alexa for real-time recommendations, match summaries, updates for in-game achievements, and you can even ask for a personalised recommendation to improve your gaming performance. “The Call of Duty Alexa Skill gives every player a personal Call of Duty coach for the first time, using AI and machine learning to analyze how you play and providing tips on how to improve your gameplay based on your individual strengths, weaknesses and play style,” explained Tim Ellis, Chief Marketing Officer of Activision. Digging deeper into the AI and ML tech behind this skill, Activision says that it uses clulster analysis to analyses more than 20 factors, including accuracy, movement, engagement distance, K/D, shots, score per minute, time played and relationships to other players. These are then used for personalised recommendations for each player. Getting the most out of the new Skill isn’t very difficult as natural language can be used to query Alexa with approx 2,500 questions about the game and your individual performance understood by Alexa. In response to your natural language questions, Alexa speaks in “a soldier-like voice,” and can deliver 250,000 distinct responses incorporating real-time stats, automated insights, and gameplay hints. Another useful aspect of the Call of Duty: WWII Amazon Alexa Skill is its complete onboarding experience, providing key background details and mission objectives as you start to play. Social gaming aspects are part of the Skill. Activision’s beta app will let you check whether friends are currently playing, keep you connected with, and compare your stats with those of your friends’. 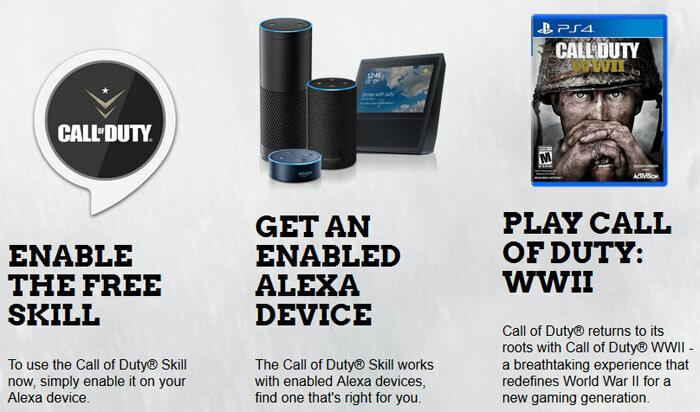 The Call of Duty Alexa Skill is being launched in English for the US, UK, Canada, Australia and New Zealand, with plans to expand to French and German in the coming months. 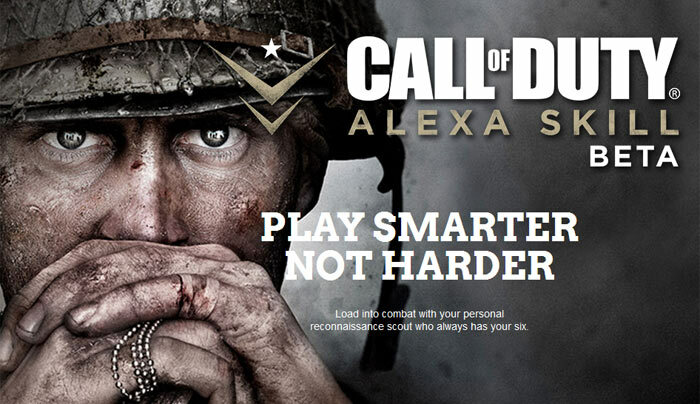 For more information on the Call of Duty Alexa Skill Beta, please visit www.callofduty.com/wwii/alexa. Would HEXUS readers like to see more Alexa Skills in games? For reference here is a link to all the current Alexa skills for gaming. Me: Hey Alexa, where am I going wrong here? Alexa: Your first mistake was buying CoD. Buying CoD was the 2nd mistake. Buying Alexa was the first. Do not allow smart devices and similar into your home. You are only giving them more ways of collecting data. Sorry but I won't be taking advantage of this feature in any COD game.